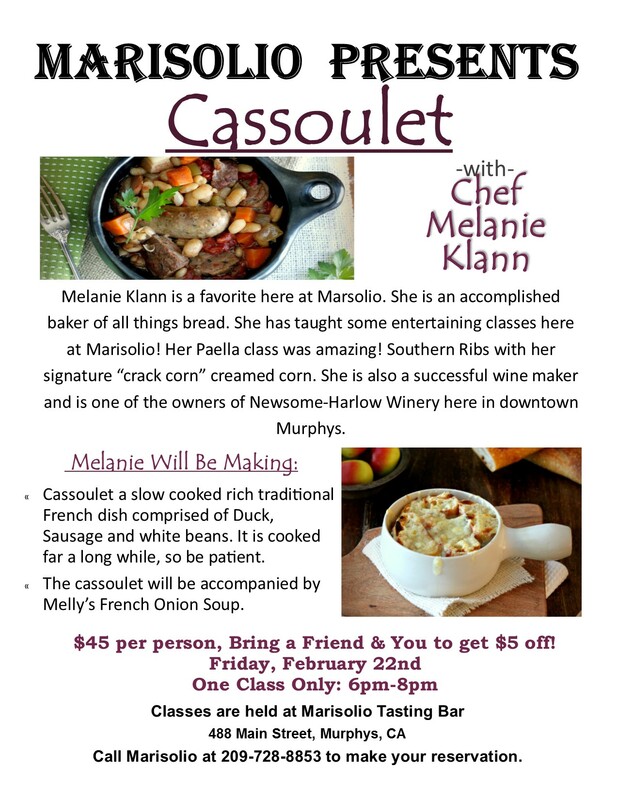 Melanie Klann is a favorite here at Marisolio. She is an accomplished baker of all things bread. 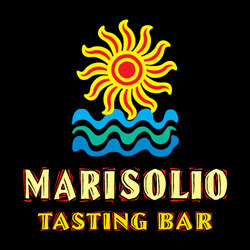 She has taught some fun classes her at Marisolio! Her Paella class was amazing! Southern Ribs with her signature “crack corn” creamed corn is fantastic. She also owns a successful winery, Newsome Harlow her in downtown Murphys, with her husband Scott. 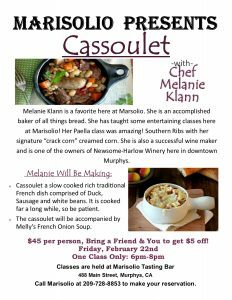 Melanie will be making a Cassoulet, a slow-cooked rich traditional French dish comprised of Duck, Sausage and white beans, and Melly’s French Onion Soup this time.